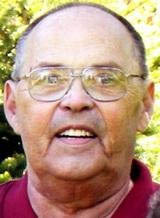 WATERLOO - Donald Duane Aegerter, 75, of Sioux Falls, S.D., formerly of Waterloo, died Monday, May 9. He was born June 3, 1935, in Albert Lea, Minn., son of William and Lydia Bjornson Aegerter. He married Betty Violet Cobb Dec. 31, 1956. After graduating from high school, Mr. Aegerter joined the U.S. Marine Corps in 1953, serving during the Korean War conflict. He was honorably discharged in 1953. Mr. Aegerter worked for Western Electric and was general manager of Canteen Vending Services in Waterloo, retiring in 1997. Survived by his wife; a daughter, Deborah Drilling of Maple Grove, Minn.; three sons, Donald (Joy) of Waterloo, Jeffrey (Becky) of Sioux Falls, S.D., and Michael (Sarah) of Shell Rock; seven grandchildren; two great-grandchildren; two sisters, Deloris Bender of Waterloo and Rosemary (Mike) Pagano of Lawton, Okla.; and a brother, William (Donna) of Waterloo. Private family services were held. Miller Funeral Home, Sioux Falls, assisted the family. Don will be remembered as a man who adored his wife, a loving father and grandfather and a person who could strike up a conversation with anyone. He loved to tease family and friends and enjoyed telling a good story. Don also enjoyed gardening, woodworking, and lawn care.